As Latino migrants branched out across the United States, the catholic church consistently provided needed support to fledgling Hispanic colonies. Throughout the 1930’s and 1940’s, St. Andrews Cathedral in downtown Grand Rapids was usually the first stop for incoming migrants. Though St. Andrews supported Mexicans, segregation and racial tensions remained. This is evident from Hispanic members forming their own symbolic parish, Our Lady of Guadalupe. In 1948, a house on LaGrave St. was purchased by the diocese to house the Capilla (chapel) de Nuestra Virgen De Guadalupe. The chapel provided a key gathering point for Grand Rapids’ Latino community and culture to flourish; more than 22 couples were married in the first year after its construction. 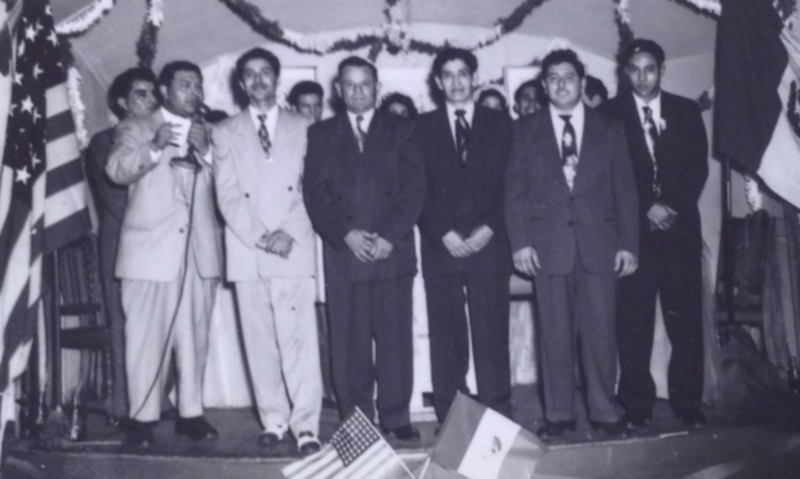 As marriages, baptisms, potlucks, outings, and holiday celebrations continued to be organized through the Catholic Church, religion was reinforced as the rallying point for Grand Rapids’ hispanic community and incoming migrants. By supporting these communities, religion helped to create and solidify bonds between different groups of Latinos, establishing a group identity in a geographic area with little prior connection to Hispanic culture. The Spanish speaking population of Grand Rapids was very small, growing from 150 prior to WWII to a staggering 500 after the war. Such a small population was undoubtedly isolating, especially because of a diversity of origin, notably between Mexicans and Puerto Ricans. Despite differences in national origin, Latinos in Grand Rapids were able to find common ground, largely, through the Catholic faith. By attending the same churches and religious celebrations, the religious community was able to provide a network that transcended nationality. Indeed, church records from local catholic institutions indicate many familial bonds between the Mexican and Puerto Rican communities, showing the deep connections that the church was able to facilitate. In particular, the picking of Mexican godparents by Puerto Rican families shows how religious practices created direct avenues for newcomers to integrate into the community. Delia Fernández. “Becoming Latino: Mexican and Puerto Rican Community Formation in Grand Rapids, Michigan, 1926–1964.” Michigan Historical Review 39, no. 1 (2013): 71-100.